Yet another outstanding piano trio makes its debut with Orbits. The Netherlands based group Sputnik3 owes its name to a philosophy of musical exploration inspired by that famous Russian satellite. The classically trained pianist Loran Witteveen, bassist Stefan Lievestro and Belgian native Raf Vertessen on drums, deftly work their way through Vertessen's complex compositions, each layering on their individual ideas to create a program that is very fresh and different. At the outset, "What About You" draws comparison to the more acoustic side of the Esbjorn Svensson Trio, with their percussive, rock-fueled treatment. "Array" is a fine example of Vertessen's through-composed writing as it moves from a slow, pensive opening to a pop melody and on to a more rock-influenced conclusion. "MRI" combines melody and abstraction as Witteveen's notes rapidly cascading around the lyrical anchor of Lievestro's deep, propulsive bass. In "Brains," "Andromeda" and "Towell of Powell" we have compositions that employ odd meters and changing tempos that seem to effortlessly find their way back to common ground. 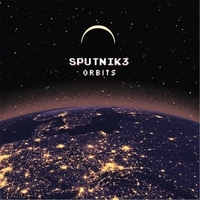 Sputnik3—and Witteveen, in particular—convey their classical affinity on "Skizz" as the piece maneuvers through traditional and avant-garde passages. By comparison, "Spleen" is a bop romp, and the closest Sputnik3 comes to a fully structured composition. More typical of Orbits is the very loosely arranged "Hit & Run" and the darkly lyrical "Farewell of Siam" which closes the album. Witteveen and Lievestro have plenty of solo opportunities while Vertessen is more focused on knitting together and balancing the many layers in each composition. The individual contributions of the trio resonate with hollow tones and gently lurching momentum. The music is challenging but accessible and the rhythmic elucidations and idiosyncratic phrasing make the transformation between a simply enjoyable set to a truly unique collection. Track Listing: What About You; Array; Brains; MRI; Skizz; Spleen; Andromeda; Towel of Powell; Hit & Run; Farewell of Siam. Personnel: Raf Vertessen: drums, compositions; Loran Witteveen: piano; Stefan Lievestro: acoustic bass. The Balkans. Centuries of unrest, revolution and occupation have left much of the region without a clear identity to the point where historians are inconsistent on which countries accurately form its constituency. Culturally, an organically developed assimilation took precedence over national boundaries and a type of regional folk music called sevdalinka, along with strong elements of Gypsy music, became most prominent. If one were inclined toward this dark, somber style, its integration with other genres was a long time in the offing. Jazz groups like pianist Michael Jefry Stevens and bassist Joe Fonda's led Eastern Boundary Quartet have infused elements of Balkan folk music into their compositions as has guitarist Brad Shepik and a handful of others. Those examples are a far cry from the traditional (and regionally more popular) Balkan brass band format that dates back to the early 1800s and—for the most part—whose instrumentation has changed little. The accordion, a traditional instrument front-line instrument in sevdalinka, was a natural cross-over to the brass bands. Over the past seven years, the Raya Brass Band has been winning hearts, minds and ears playing everywhere from NYC Subway stations to Lincoln Center to the middle of the Brooklyn Bridge; the latter location being the approximate home-base of the group. This wildly eclectic band's previous album Dancing On Roses, Dancing On Cinders established their personal twist on the genre with contagious grooves. With their new CD, Raya, the group moves to another level. Percussionist Nezih Antakli replaces EJ Fry; Rich Stein—on snare drum and percussion—has been added to a lineup that includes the two main composers Greg Squared on saxophone and trumpeter Ben Syversen. The sextet is completed by the excellent accordionist Matthew Fass and Don Godwin on tuba. Godwin also penned "Dren Gajda" and "Club Mono." The influences are many and far reaching with the opening "Unify" boasting of a strong salsa flavor while "Sugar and Salt" clearly owes some of its tone to the Celtic style. The highlight of Raya is "Sunken Angels," a cinematic and sweeping piece with great leads from Syversen and Fass. The compositions throughout are high energy with only "With Every Drop That Falls" slowing the tempo a bit at an appropriate mid-point of the album. Despite the multicultural inputs on of Raya the music rarely moves to obviously defined styles but opts for a more understated blend. The musicianship and writing here are brilliant and Raya has clout and is full of revelations. Track Listing: Unify; Dren Gajda; Sugar and Salt; Sunken Angels; With Every Drop That Falls; Ivan's Tune; Bag Of Nails; Mirage; Club Mono. Personnel: Greg Squared: saxophone/composer; Ben Syversen: trumpet/composer; Matthew Fass: accordion; Don Godwin: tuba; Nezih Antakli: percussion; Rich Stein: snare drum, percussion. Despite appearing on at least fifty recordings since 2001, Ches Smith remains the more under-recognized, yet highly in-demand, member of this newly formed trio. The drummer/percussionist and vibraphonist for Tim Berne's Snakeoil, Smith has played with John Zorn on Voices in the Wilderness (Tzadik, 2003), as well as Wadada Leo Smith, and guitarists Fred Frith and Marc Ribot. The Bell is his fifth outing as a leader, three being solo efforts and one with his recent group, These Arches, which included Mary Halvorson, Tony Malaby and accordionist/organist Andrea Parkins. Here, Smith teams with pianist Craig Taborn and Mat Maneri on viola. Taborn and Maneri had previously worked together more than ten years ago on Taborn's Junk Magic (Thirsty Ear, 2004). The title track is a meditative piece for eight of its nine and one-half minutes. At that point Smith introduces some tension as the drums begin to thunder against Maneri's haunting drone and repetitive phrasing from Taborn. "Barely Intervallic" and "Isn't It Over?" are more avant-garde and experimental in nature giving improvisational masters like Taborn and Maneri plenty of freedom to create innovations that sound both spare and lavish within Smith's minimal structures. It isn't until the second half of "I'll See You On The Dark Side Of The Earth" that Smith injects more heated intensity with a rock beat over a discordant swirl of sounds from Taborn and Maneri. The second half of the program remains in the chamber music approach with Maneri adding flashes of his uniquely exotic playing especially evident on "I Think." Taborn's playing ranges from snippets of melodicism to rapid-fire cascades of notes and Smith's drumming sounds impressively musical. The leader uses the vibraphone sparingly but its presence—especially in the midst of freer group improvisations—adds a delicate balance to the sometimes more hectic proceedings. For Smith, The Bell was not meant to be the stepping off point for a new group but rather a one-time impromptu session. However, after he, Maneri and Taborn played live in New York, Smith realized he an opportunity to create something more lasting with this exceptional group. His written compositions are intentionally kept minimal so as to let the improvisations take center stage. 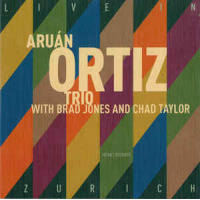 The trio responds to this approach with an appealingly patient mix of empty spaces, complex phrasing and textures that play in the moment and with an organic feeling. Smith/Taborn/Maneri will perform on the opening night of the New York City ECM Jazzfest on January 15, 2016. Track Listing: The Bell; Barely Intervallic; Isn't It Over? ; I'll See You On The Dark Side Of The Earth; I Think; Wacken; Open Air; It's Always Winter Somewhere; For Days. Personnel: Ches Smith: drums, vibraphone, timpani; Craig Taborn: piano; Mat Maneri: viola. Trained early in his career as a pianist, the French artist Fabrice Mourlon later joined a vocal jazz class at the Paris suburb Pantin School of Music. In 1994 he trained as a vocalist with Italian singer Valentina Casula and was a member of her workshop for the next half-decade. He met pianist Richard Razafindrakoto, bassist Emmanuel Brunet and drummer Thierry Tardieu in 2001 and the four would eventually solidify as a quartet playing various jazz clubs in Paris and now on Facing the Lough. Razafindrakoto—who studied at the Conservatoire National de Region—has been the beneficiary of training from France's prolific world-class saxophonist and conductor François Jeanneau. Tardieu trained in the workshop of Enrico Rava and worked with Paolo Fresu among other international artists from Europe and Asia. Brunet has played many of the western European jazz clubs and worked with one of the better known French trombonists, Sébastien Llado, in his quartet. Facing the Lough takes its name from the view at a home in Belfast, Ireland where Mourlon had visited; lough being the Anglo-Irish interpretation of a loch, a type of bay or inlet. More to the point, it seems to represent a far reaching view of the modern, traditional and folkloric tunes that Mourlan reads in French, English and Swedish on the CD. The album—quite brief, at under thirty minutes—consists on seven Mourlon originals and one traditional piece, "Mannelig," based on a medieval Swedish ballad. Mourlon's take on his own compositions covers a wide range from traditional balladry, to swing, to more improvisational treatments. Razafindrakoto, Tardieu and Brunet make for an excellent and substantial trio, their playing seemingly unprompted and in the moment, full of energy yet yielding to the vocalist's needs when that is the applicable approach. Facing the Lough is a versatile collection made gratifying by musicians whose proficient skills allow easy passage from straight-ahead jazz to more modern approaches. For those who like vocal jazz, this is an album to check out. Track Listing: Brooklyn Bridge; Mannelig; Nonna Ines; Pat's In Paris Take 1; Blissful Time; Wish You Were Here; Back From Belfast; Pat's In Paris Take 2. Personnel: Fabrice Mourlon: vocals. Compositions; Richard Razafindrakoto: piano; Emmanuel Brunet: bass; Thierry Tardieu: drums.